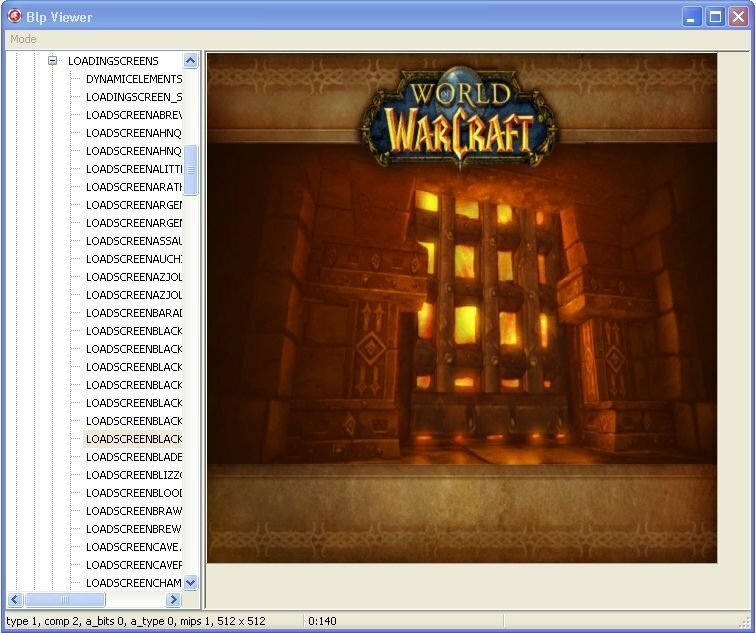 Viewer for BLP (texture) files stored in cilent's mpq files. Patch files to include to load can be added to "mpqToLoad.txt"
Path to client's data files retrieved from registry. Client set this path on run. Can't access data files while mpq opened by client. Re: Re: Re: Re: There are many files that do not preview. You can manage files used yourself, in mpqToLoad.txt file. I just change 'enUS' to 'koKR' in mpqToLoad.txt. Then it works. Re: Re: Re: There are many files that do not preview. No, My client is koKR. Can u add it? You can manage files used yourself, in mpqToLoad.txt file. But UI-ABILITYPANEL-BOTLEFT.BLP suppose to be located in multinational part. Or there is some issues working with national codepages (I'm not sure is filenames inside mpq ansi char or UTF8). Can you upload somewhere at file sharing service (like filebeam.com for example) small korean mpq with blp files inside (some patch maybe, for example wow-update-...-16016.MPQ have blps, or wow-update-...-16516.MPQ). I really don't want to download full national client and probably will have no idea what to click to download. Re: Re: There are many files that do not preview. But there are many files that do not preview despite the BLP file. Works for me with current client. 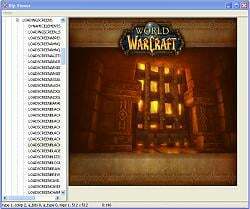 File located in "World of Warcraft\Data\interface.MPQ/Interface\AbilitiesFrame\UI-AbilityPanel-BotLeft.blp". Is your WoW not enUS or enGB? Re: There are many files that do not preview. There are many files that do not preview.